Philips wide bore 3T MRI scan available at our Venice location and “state of the art” Intera 1.5T scanner available at our Englewood location. High field and Wide Bore MRI at our Sarasota Location. In contrast to the more common X-Ray that uses ionizing radiation, MRI uses a strong magnetic field, radio waves and a computer. This enables MRI to make very detailed pictures of bone, organs, soft tissues and any other body structures. The physician can then view the pictures on the computer for further evaluation. MRI test are typically done on an outpatient basis as they generally can be completed under 30 minutes per exam. Patients are positioned on a moveable exam table. A coil containing small components that send and receive radio waves may be placed around the portion of the body being examined. If the patients particular procedure requires a contrast dye then the MRI technologist will insert an IV line into a vein in the hand or arm. The exam table will be gently moved into the MRI machine and the technologist will go to an adjacent room where they can perform the tests while watching the patient through a window. The MRI technologist will be able to communicate with the patient through a sound system at anytime. In addition, the patient will have headphones and will be able to listen to the type of music of their choice throughout their procedure or bring their own music CD's if they choose to do so. Patients should wear comfortable clothes that are easy to change as they may be asked to wear a gown for their procedure. You may also be asked to remove any jewelry, hearing aids, eyeglasses or metal objects. Our staff will give any special dietary or medication instructions ahead of time if they are necessary. Safety is our #1 priority! Patients are required to fill out and sign a medical history and safety questionnaire prior to their exam. It is important to screen patients for mechanical, electronic, or metallic implants. Cardiac pacemakers, ICD’s, and some intracranial aneurysm clips are contraindicated for MRI procedures. Many implantable devices are safe but need to be checked and approved ahead of time. The physician and or MRI technologist should be made aware of any serious health problems, previous surgeries, or possibility of pregnancy. The patient should also tell the technologist of any allergies, specifically to contrast dye, which required medical attention, pre-meds may need to be ordered before your test. 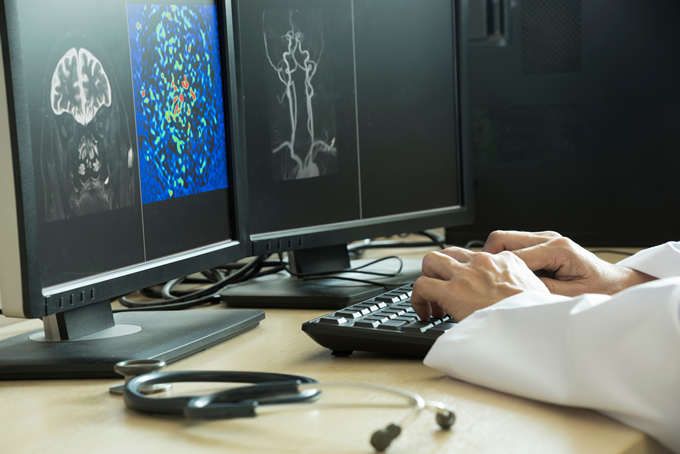 If a patient has a history of decreased kidney function, recent lab work may be required prior to their MRI to determine if contrast can safely be administered. Some of our patients have problems with claustrophobia, usually they know before even having the test. Our scanner remains open on both ends during the exam. We encourage our patients to come in prior to their appointment to see the MR scanner and ask the technologist any questions or concerns that they may encounter. If you still feel anxious about the test after speaking to the technologist and/or physician, oral sedation can be discussed prior to your exam. Patients do very well with sedation, however they must have a driver bring them to and from their appointment.